Pollination is nearly as important as sunlight and soil when it comes to the reproductive success of plants and flowers. Healthy gardens needs to be visited by pollinators in order to flourish. As pollinators move from flower to flower they collect and eat nectar, but they are also moving pollen from one flower to the next. Many plants require this manual pollen transfer by insects and birds in order to form proper seeds so attracting pollinators to assist with this task is very important. In fact, pollinators – especially native bees – are responsible for the reproduction of most of our food plants. Without pollinators, we would go hungry! Pollinators in general are in trouble due to lack of habitat and native plant species, so we need to do our part to help them thrive. On a smaller scale, pollinators are essential for the success of our own gardens – especially fruits and vegetables. Pollinators are also beautiful and fun to watch! Beauty and joy are an important part of our lives, so it’s nice to attract pollinators just for that reason. This spring as you ponder what to plant in your Houston garden, you might be thinking about light requirements, colors, sizes, shapes, flowers, and blooming time. But if you add attractiveness to pollinators to your list of characteristics to consider, you will not be disappointed! To start, begin selecting plants native to the region. Native plants create a habitat for our native pollinators including butterflies, songbirds, hummingbirds, bees, and beetles. “Native plants are important because pollinators – including bees and birds – have developed with them over generations and are better able to recognize and get useful food from them. Non-native plants may be harder to recognize, or may not be able to provide all of the needs of our pollinators. Pollinators have selected native plants for good nectar production, but human plant breeders select and cultivate flowers for color or bloom season and may inadvertently remove traits that are important to pollinators. Besides nectar production, native plants provide other unique benefits. For instance, native varieties of plants also produce toxic alkaloids which will protect pollinating butterfly and moth caterpillars from predation. Hummingbirds will get nectar at native flowers and then build nests in native trees and shrubs. 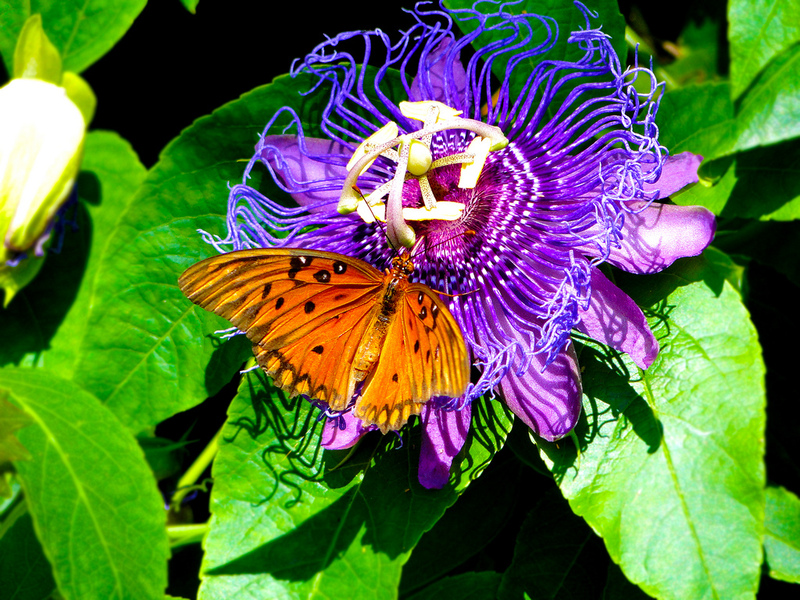 Different pollinators are attracted to different types of flowers. For instance, hummingbirds are attracted to bright red or scarlet flowers with a tube shape, and bees are attracted to bright white, yellow or blue flowers. If you have a variety of native flowers to choose from, odds are you will be able to attract multiple types of pollinators to your garden. A shallow bird bath with a stone to “perch” on will provide crucial drinking water for birds and insects. Bees need to drink too! Pollinators need places to sleep, hide from predators or bad weather, and raise their families. Native trees, shrubs, and grasses really help. You can also leave a bit of your lawn/garden unmown and unraked (bees and moths hide under the leaf litter). You can also find bee houses to use as shelter for specific species like Mason Bees. Try not use pesticides at all, or use as few as possible. Pesticides do not discriminate and will kill all insects, event beneficial ones. For a safer alternative, try removing pests by hand and using native plants which are naturally pest resistant. You can also accept a little bit of pest activity. Keep your cats indoors as much as possible. If you select native plants that flower during different times of the year, you will be providing food and nectar for pollinators throughout the growing season. For instance, the purple Liatris blooms in the fall, whereas the Texas Lantana blooms in the summertime. For adequate pollinator attraction, plant your plants in clusters as opposed to single plants here and there. Pollinators will want to busily move from flower to flower and prefer to have several to choose from. Also if you are planting host plants for butterflies, their caterpillars will need multiple plants in order to have enough food. 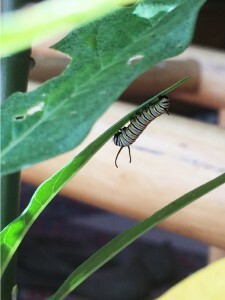 For instance, a single monarch caterpillar can consume an entire small milkweed plant, so if you have more than one caterpillar you will need more plant to ensure they do not starve. 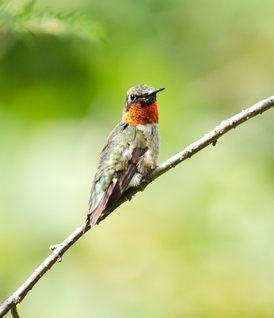 Hummingbirds eat tiny insects and spiders, doing their small part to reduce pest insects. Pollinators in general also provide food for other animals like dragonflies, bats, and birds, helping to maintain a healthy ecosystem. 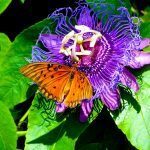 The Houston Arboretum offers native plant sales several times a year and we sell plants perfect for pollinator attraction. 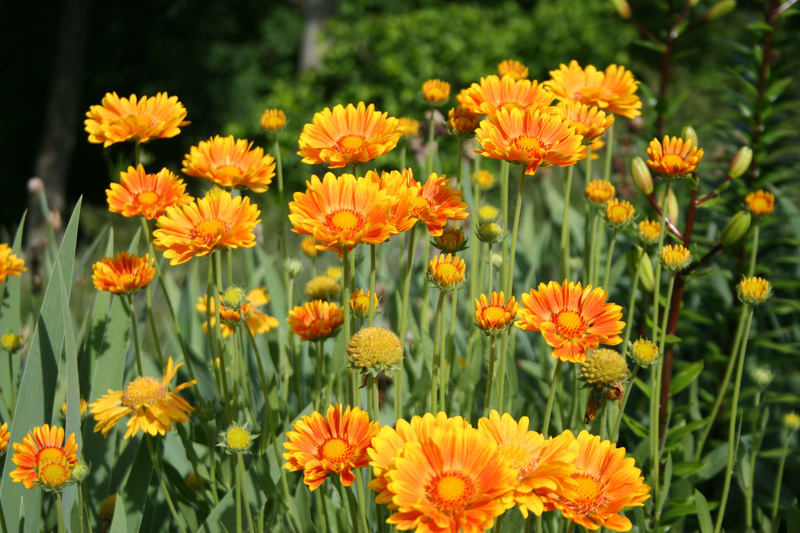 The next Pollinator Plant Sale is March 12, 2016!